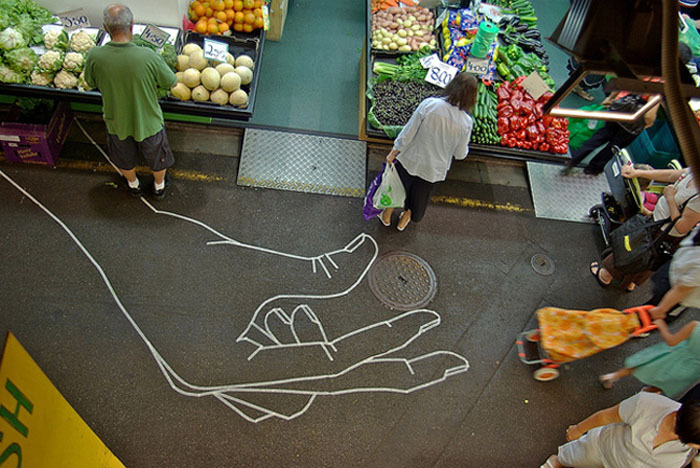 Buff Diss, an Australian street artist from Melbourne, has been using tape instead of paint for the past six or seven years. Though he “tape paints” all kinds of images from abstract to skulls, there seems to be a strong hand theme. 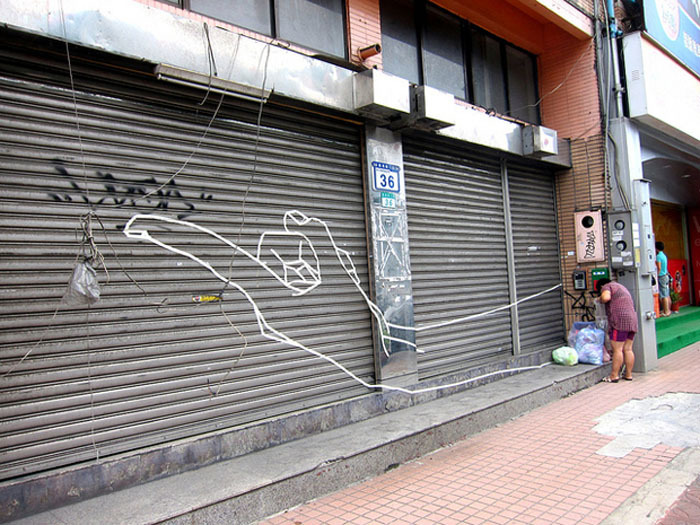 Diss cleverly integrates the elements and variations of the street to his advantage, at the same time adding humor to many of his pointing and pinching taped fingers. 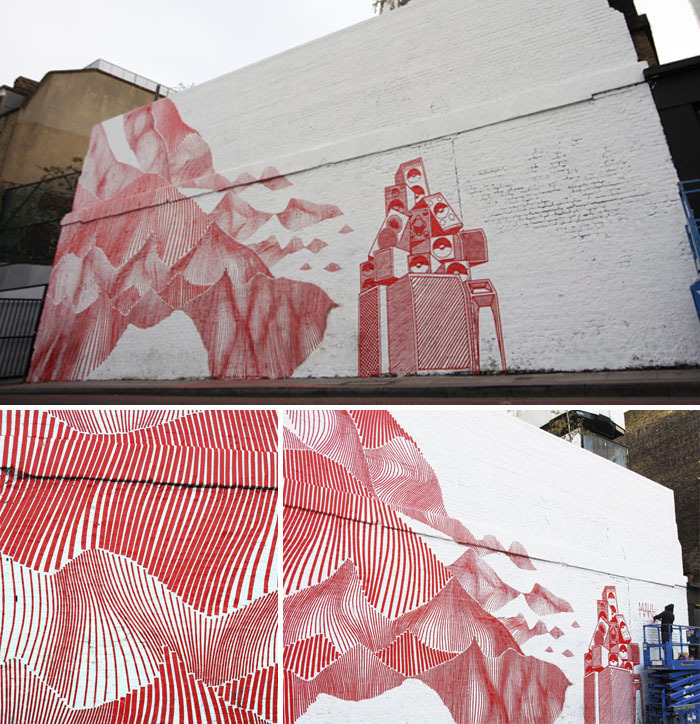 The bottom three images are from one of his most recent works: a mural for Red Stripe in London. Photos from Buff Diss’ flickr and blog. This entry was posted in Art, Just Plain Cool, Pop Culture, Street Art, Stuff We Like. Bookmark the permalink. These are really great – they seem incredibly generous.